From Issue 1 – you can buy it here! People look at progression in a lot of different ways. Me, I look at it as a balancing act. You need to work hard but look effortless. Push yourself, but work inside of your limits. The fact is, kiteboarding has a lot more variables involved in it than many other board sports, and this means progression can be much slower. When I’m working on a trick I try to visualise it as best as I possibly can. This is what I tell anyone asking me how to do a new move, and it really is the most important aspect. If you don’t understand the particular rotation, involved movements, and be able to do it in your mind, how do you expect to be able to put it into practice? 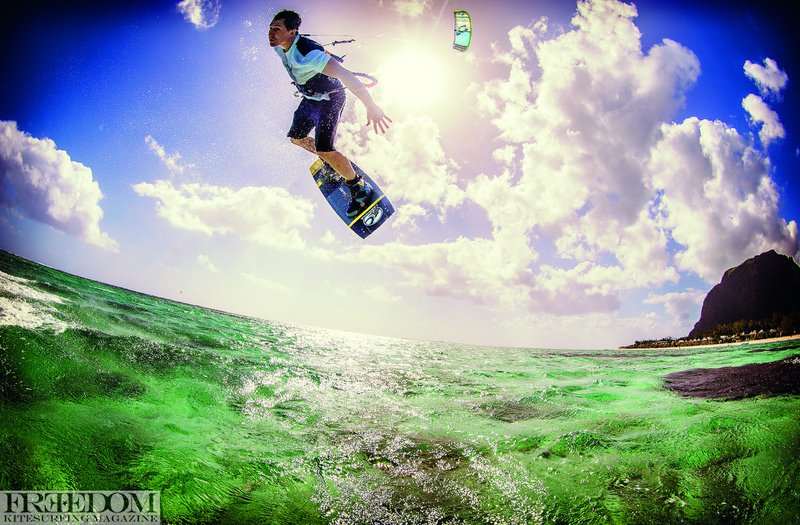 I try to break my tricks down into four areas: mind, body, kite, and board. Mind: As I said, you need to be able to do the trick, in its entirety, in your brain. Watch videos until the trick can replay over and over in your head. This way your body will have an idea of what it should do once you leave the water. Everything in wakestyle happens so fast; once you’re mid-trick and you don’t have a lot of margin for error. Make sure you know what you’re doing before you do it! Confidence also plays a major part here. Make sure you go into your trick knowing you are going to land it. Trying is having the intention to fail. Be sure of yourself and you will have a much better chance of sticking it. Body: This one is pretty complex as there’s obviously a lot going on during a trick but when it comes down to it, all you need to do is follow the number one rule – where your head goes, your body will follow. This is true for every single rotation and something you need to make sure you keep in mind all the time. The second thing you need to focus on is getting the bar to your hip. This is something I have learned from riding at the cable park a lot and it’s something all good wakestyle riders do. All your rotations should flow from turning your head and pulling the bar to the right spot on your body. Bend your knees to speed up rotations and extend them to slow it down. This is a massive help in pretty much every trick. Make sure to break things down in your mind so you know at which points you need to pull in and extend your legs. Kite: Your kite position will indicate how you leave the water, your time in the air, how your rotation will (and can) go, and if you will land your trick. 10° difference in kite angle can be make-or-break in kiteboarding. If your kite is too high it will pull you out of your rotation and make it hard to land your trick. It also increases stress on your shoulders. If your kite hits the water while you’re still rotating you won’t be able to finish the trick properly. Try to watch a lot of videos and see where the pro’s put their kites for certain tricks. When in doubt, aim for 45°. Keep in mind that you also must steer your kite during a trick and in some cases you want it to stay in the exact same place. Some people tend to lean on the bar when going for a rotation, which leads to steering the kite up or down. Try to let your pop and rotation do the work instead of leaning on your bar. Board: Your board is obviously a very important part of the trick process. Make sure you’re going into your trick with the correct speed. You can go into a FS315 a lot faster than a back mobe for instance, so learn which tricks need what speed.